The R.A.M. 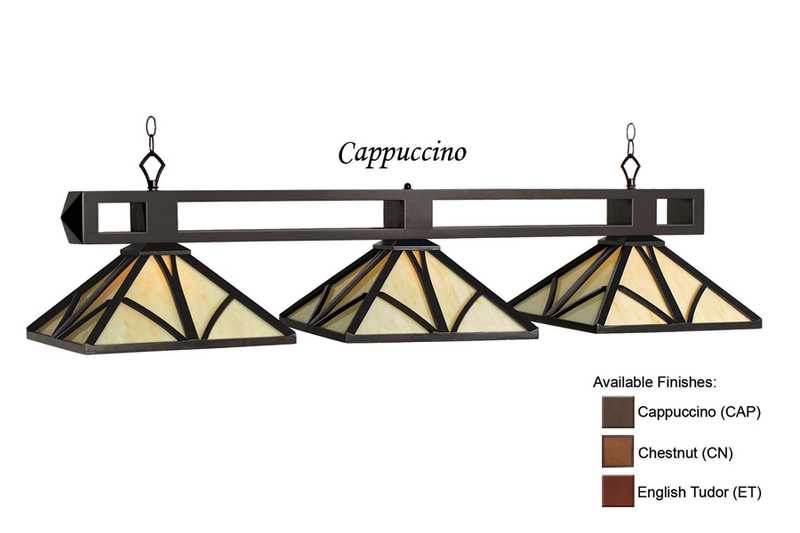 Chateau light is a wonderful glass light with modern wood accents. Give your game room a touch of class. Available in a 3-Shade or 1-Shade Pendant version.